The Viewlorium: Ghost or Karma? In high school, pulling up a prank is one of the things you do to be remembered by the whole school, whether it’s on a fellow student, a teacher or the principal. Worse comes to worst; someone gets hurt and there are consequences that sticks to your track record that could tarnish your reputation. When bad things start happening to you, do you know that it’s karma or the ghost of high school’s past? Fear Itself is about a group of high-school students who take a prank too far. The group buries someone alive in the nearby woods and unfortunately, he turns up dead. With their efforts to hide the crime, the members of the group start dying one after the other. Fearing that the ghost of the one they pranked is haunting them, they try to save themselves and try to make amends. Eventually, everyone in the group reaches their respective destinies. Could it be karma taking a life for a life, or a mysterious murderer avenging an uneventful death? If you’re wondering about the ending, you don’t have to wonder for long. 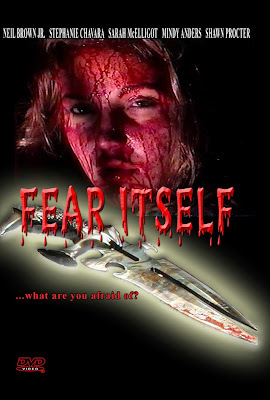 Fear Itself is one of the free movies to watch online on Viewlorium.com. Tablet, smartphone, or PC: whatever you use, you can enjoy the film your way, any day.